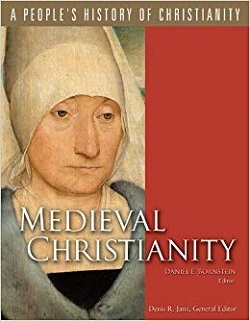 The fourth volume in A People's History of Christianity series accents the astounding range of cultural and religious experience within medieval Christianity and the ways in which religious life structured all aspects of the daily lives of ordinary Christians. With ranking scholars from the U.S. and the Continent, this volume explores rituals of birth and death, daily parish life, lay-clerical relations, and relations with Jews and Muslims through a thousand years and many lands. Includes 50 illustrations, maps, and an 8-page color gallery.